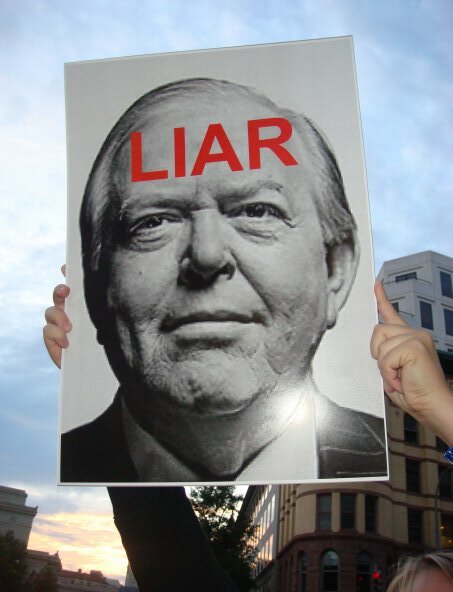 Tonight, Lou Dobbs hosted his last show ever on CNN. Yes, our dear friend Lou has officially resigned from the nation’s ‘most trusted name in news’ to bring his special blend of xenophobia and hate-mongering elsewhere. This is incredible news and due in no small part to the efforts of the Drop Dobbs and Basta Dobbs campaigns who have put increasingly more pressure on CNN to fire Lou. I wonder if by forthright analysis he means spreading lies about the waves of immigrants infecting Americans with leprosy without a single shred of factual evidence to back it up. This marks a big victory in the fight against hate and anti-immigrant fervor in our country, but its only one small step in the right direction. Lou will, inevitably, find another pulpit from which to spout his dangerous rhetoric, and we will continue to counter with the truth and justice on our side. But for now, mark one for the good guys. For a round-up of coverage check out Jackie Mahendra’s post over at the America’s Voice blog. I am blogging this morning from my hotel room in Pittsburgh, where I’m eagerly awaiting the New Organizing Institute Summit, before the start of Netroots Nation on Thursday. I’ve had the TV on in the background, listening to the morning news shows – something I never have the luxury to do at home. And, I have to be honest, the coverage of all of the healthcare town halls and the angry mobs descending upon them is frightening. Not just because of the overwhelming amount of misinformation being circulated (and bought into), but the sheer amount of blind hate people are spewing at anything and everything they view as “other” than them. If that doesn’t scare the hell out of you, I’m not sure what will. The bottom line is, we must find a way to counter this hate. h/t to Jackie at America’s Voice and Kyle at Citizen Orange for this. Mark Krikorian, Executive Director of the Center for Immigration Studies (one of the “big three” anti-immigrant groups in the country), is now Keith Olbermann’s ‘Worst Person in the World’. My fellow pro-migrant bloggers and I have been exposing CIS and Krikorian as part of the hate-mongering anti-immigrant lobby for a while, but his recent attacks on Supreme Court nominee Sonia Sotomayor have really brought that exposure to a new level. Deferring to people’s own pronunciation of their names should obviously be our first inclination, but there ought to be limits. And there are basically two options — the newcomer adapts to us, or we adapt to him. And multiculturalism means there’s a lot more of the latter going on than there should be. Click here to watch Keith Olbermann put Krikorian on blast as the “Worst Person in the World” for this ridiculously xenophobic statement. Its definitely worth the 2 minutes of your time. And, by they way, as a person with a last name that is difficult for most Americans, I am highly insulted by the idea that just because people have a hard time saying my name I should forego hundreds of years of family history to cater to their ineptitude. Just sayin’. And this guy is considered a “reliable source” of information on immigration-related issues? Yikes. More evidence of how the extreme has become mainstream in the immigration debate. It’s time to return to common sense, people. 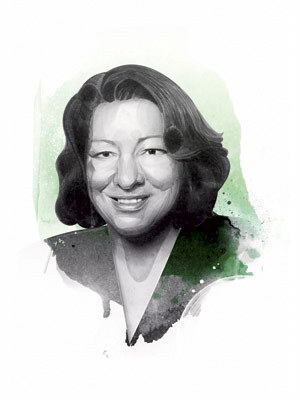 Sotomayor’s last name is not a threat to America. I can’t believe I even had to type that. This post went up today at Think Progress about a new DHS report that since November’s election of Barack Obama, right-wing extremists and hate groups are targeting a much wider audience, looking for new recruits. Immigrant rights advocates know all too well how hate speech and vitriolic rhetoric is being tossed around these days. Citizen Orange has a fascinating post up about a former anti-migrant activist who has seen the error of his ways. In July 2007 Robb Pearson held an anti-immigrant rally titled and themed a Pro-America Rally. Today Robb is an activist for humanity after realizing that there is nothing inherently good within or about the anti-immigrant movement. Anti-BVBL has pointed us to two videos where Robb goes into why he became an anti-migrant activist, the mindset of the anti-migrant activist and why he decided to remove himself from that movement. I have had the unfortunate task of covering the brutal murders of both Marcelo Lucero and Luis Ramirez on this blog. 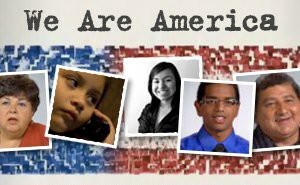 I have also posted several times on the spike in hate crimes against Latinos that is being witnessed in the United States. The hate speech and the vitriolic rhetoric surrounding the issue of immigration has created a violent and dangerous environment for all immigrants, and specifically Latinos. Yesterday, national organizations gathered to denounce the recent rash of Hate Crimes and to call for more agressive investigation and prosection of these crimes at both the local and the federal levels. Additionally, the organizations connected the dots between hate speech and the violence inflicted on immigrants. It is time to call for an end to the dehumanization of immigrants that allows unthinkable violence and hatred to enter into the mainstream. While the groups cited Barack Obama’s election as marker for how far we’ve come as a nation, they also emphasize that is a starting point, from which to build on for a more hopeful and less hateful future. For more on what you can do, check out www.wecanstopthehate.org. And to see video from the press conference – click here. This past week an Ecuadorian immigrant named Marcello Lucero was murdered on Long Island. His attackers were seven local high school boys. Does this story line sound familiar? 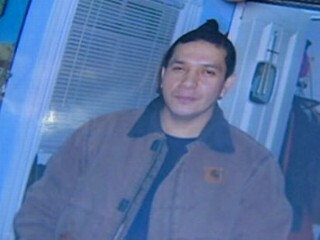 Remember Luis Ramirez in Shenandoah, PA? Remember how he was killed? By a group of hateful high school students. They told police they wanted to beat up someone who looked Hispanic. That was the motive, police said, that a mob of seven young men had in mind when they attacked a Patchogue man, who ended up being stabbed to death minutes before midnight Saturday, Suffolk police said. “These individuals told detectives that they were looking to beat someone of Latino heritage,” said Det. Lt Jack Fitzpatrick, commander of the homicide squad, adding that the victim, Marcello Lucero, 37, is of Ecuadorian descent. Fitzpatrick said the seven suspects drove around Patchogue searching for victims and found Lucero and another Ecuadorian man. Its hard to fully wrap my head around this idea. These boys were searching for a person of Hispanic heritage – ANY person of hispanic heritage. Where does this intense hatred come from? What did Lucero do to merit this extreme violence? Some people will chalk this up to boys being boys, but as Duke at The Sanctuary said: HATE DOES NOT HAPPEN IN A VACUUM. Marcello Lucero’s murder is a reminder that while immigrants have made their voices heard politically during this past election, there is still much to be done. Check out the roundup of coverage of Lucero’s murder after the jump. I will be sure to keep you updated with any new developments.